This article was originally published here on OctavianReport.com on Friday, December 5, 2014, and in the Fall 2014 issue of the Octavian Report. It’s all relative, though, and Dubai’s good press took a hit with the global financial meltdown when its building binge imploded. Like a more pragmatic and responsible older brother, Abu Dhabi—located ninety minutes down the road to the southwest and the capital city of the confederation of seven emirates that make up the United Arab Emirates—came to the rescue and bailed out a badly over-extended Dubai government in 2009 with an infusion of $10 billion. 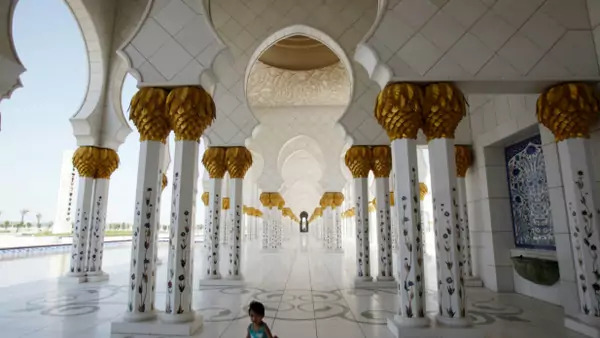 And also like a stern older sibling intent on teaching a lesson, Abu Dhabi exacted a pound of flesh, seeing to it that the crown jewel 2,722-foot tall Burj-al-Dubai was renamed to the Burj al-Khalifah for the Sheikh who is the President of the UAE and Emir of Abu Dhabi. Dubai is still flashy and maintains a certain go-go vibe, but the power dynamic in the Emirates and the Middle East has shifted. Abu Dhabi is now where all the action is.